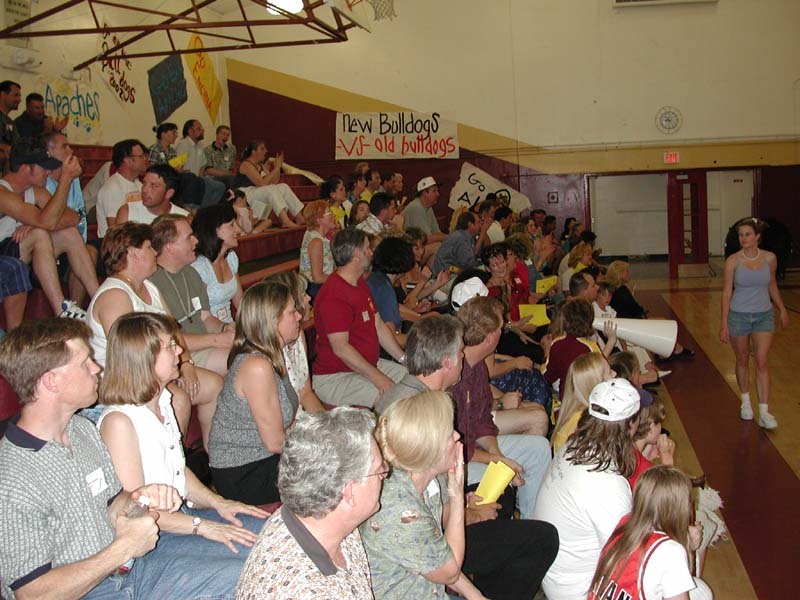 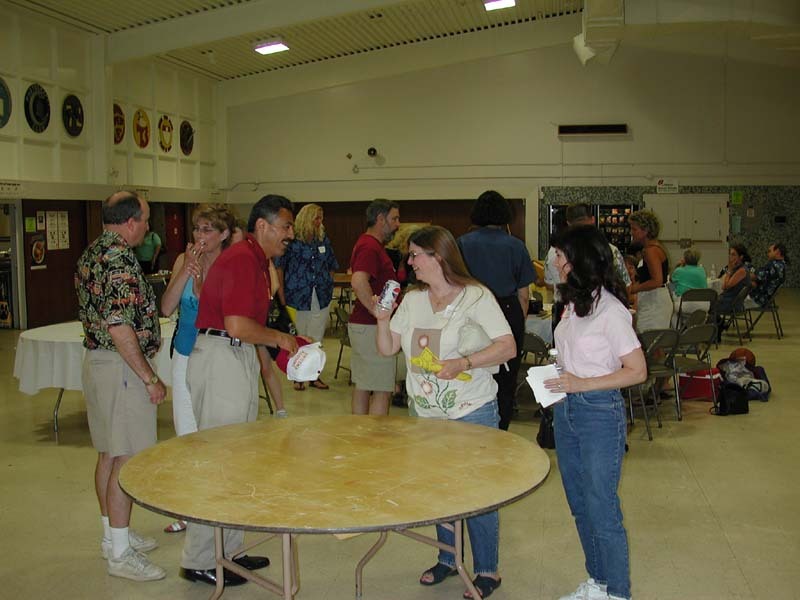 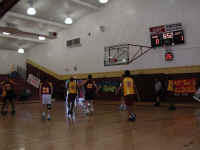 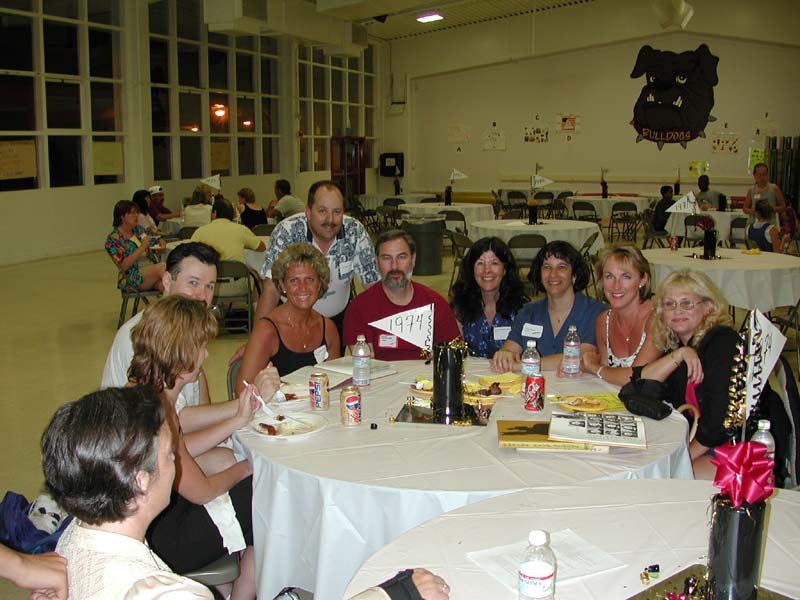 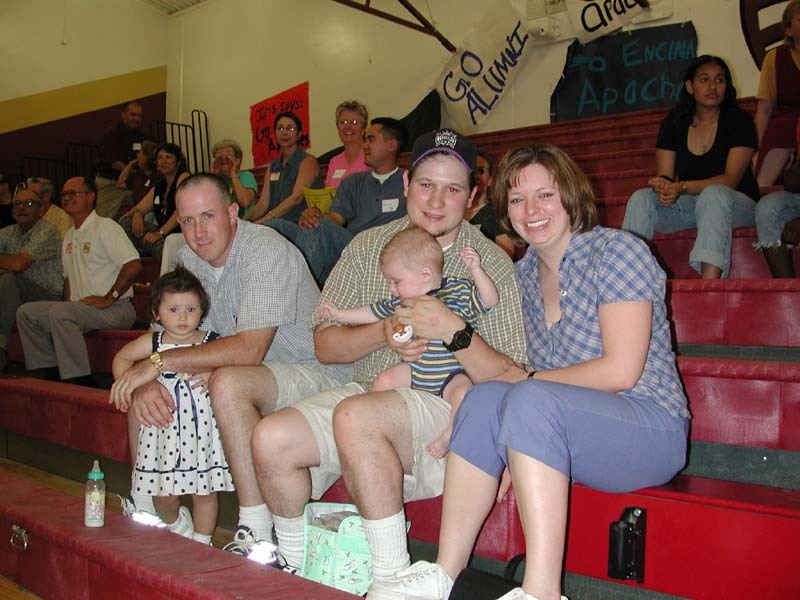 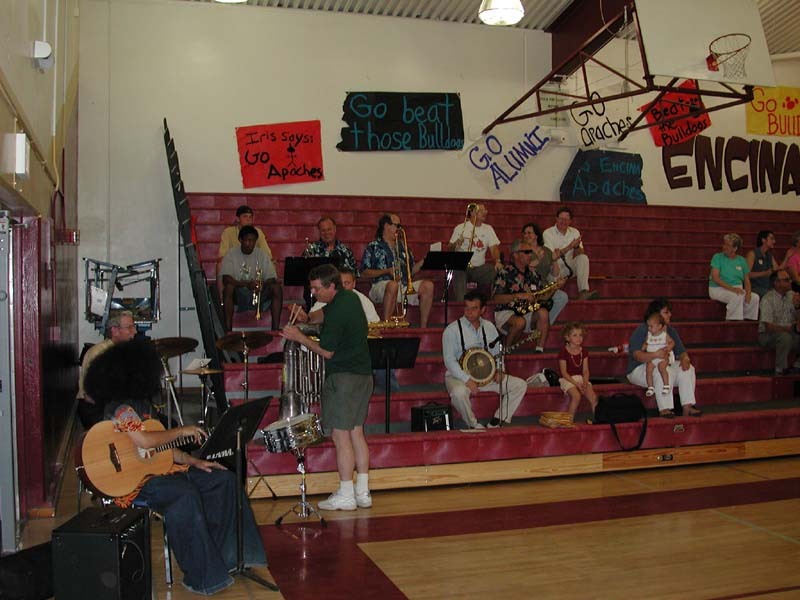 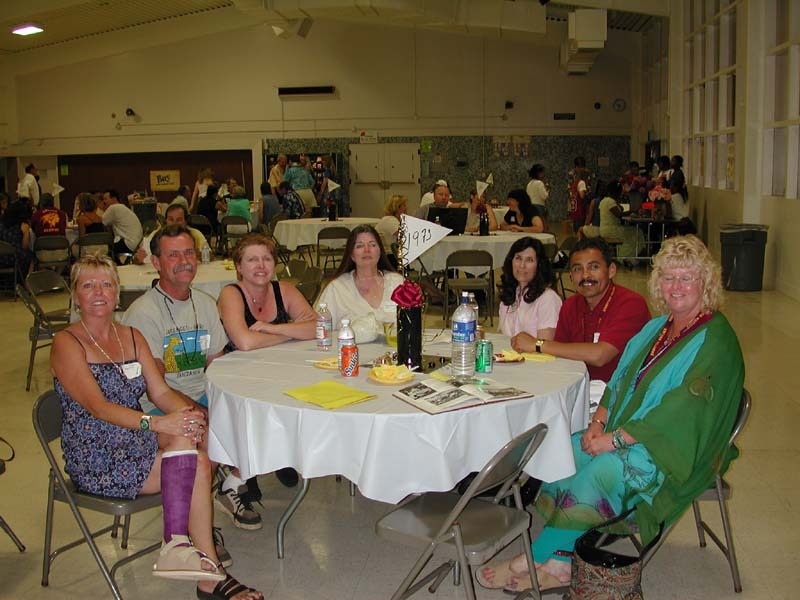 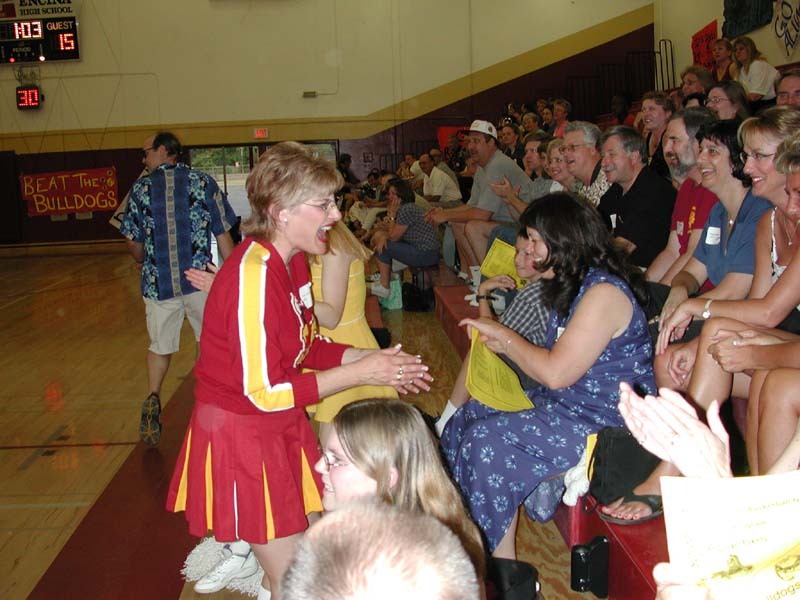 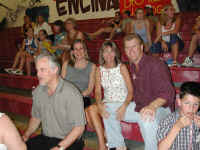 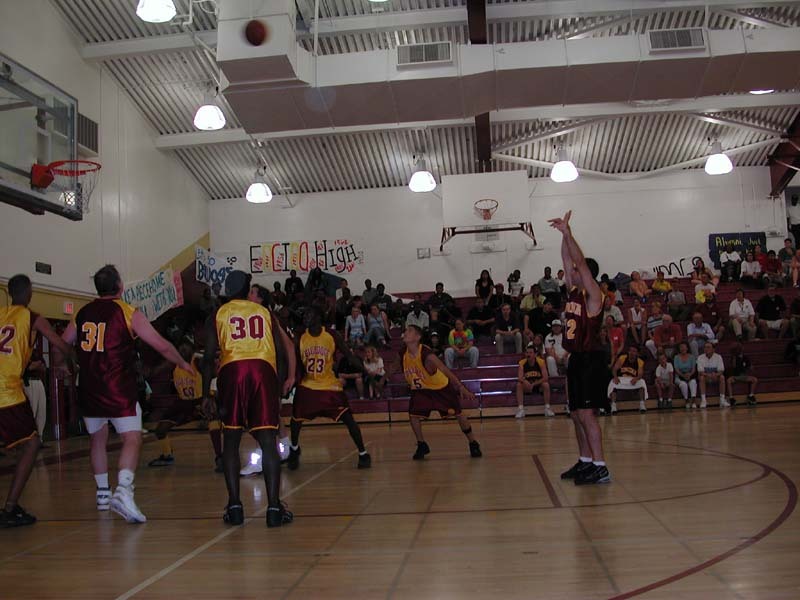 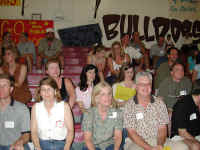 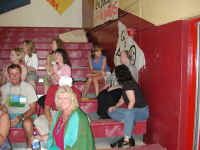 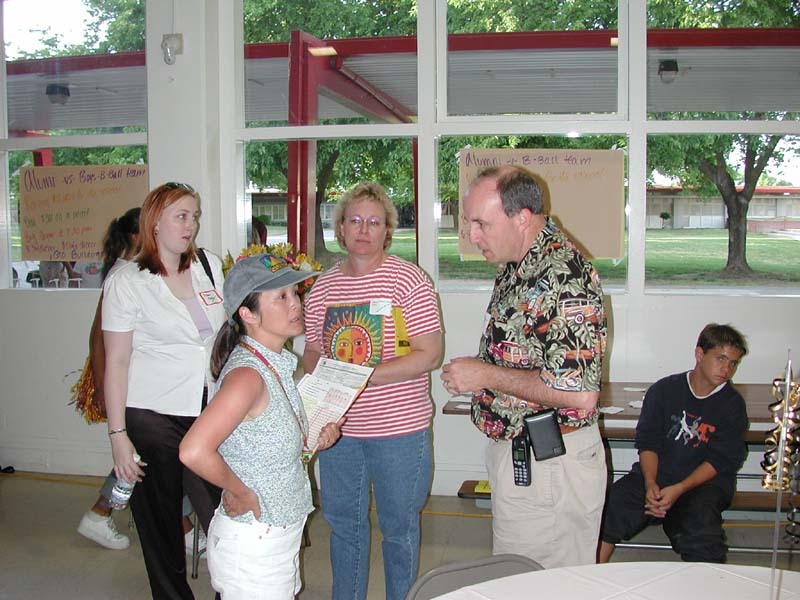 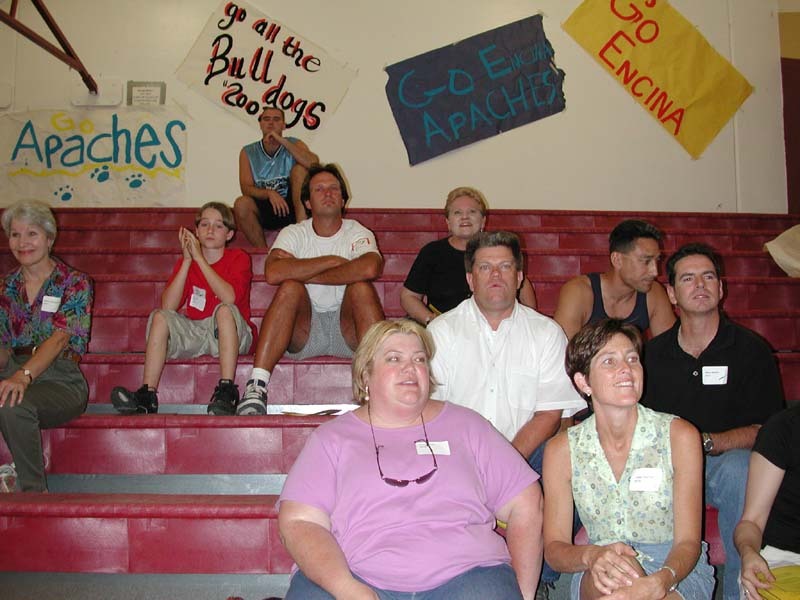 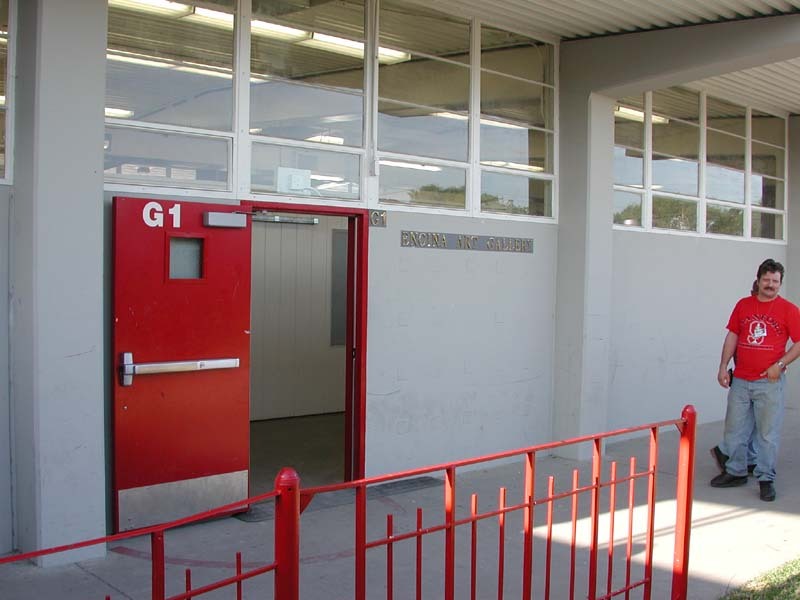 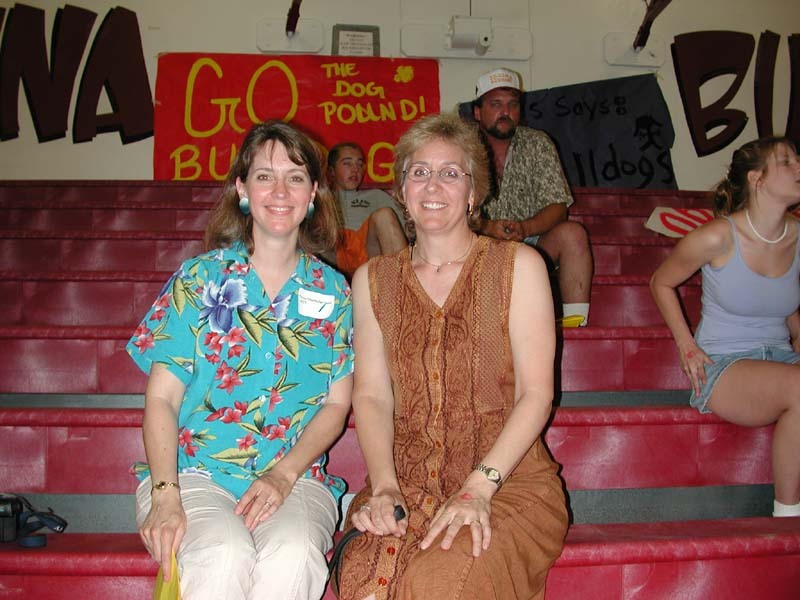 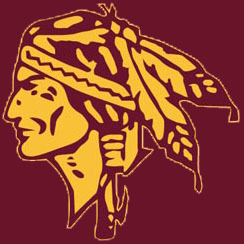 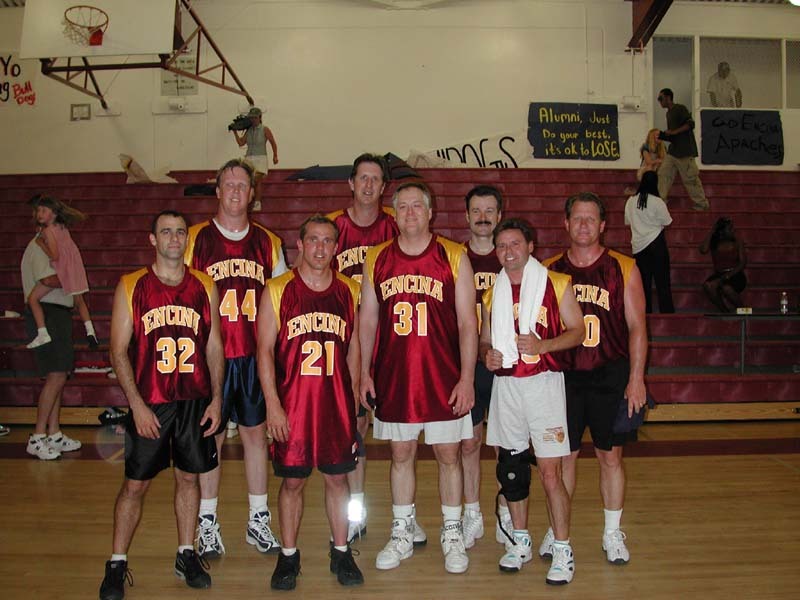 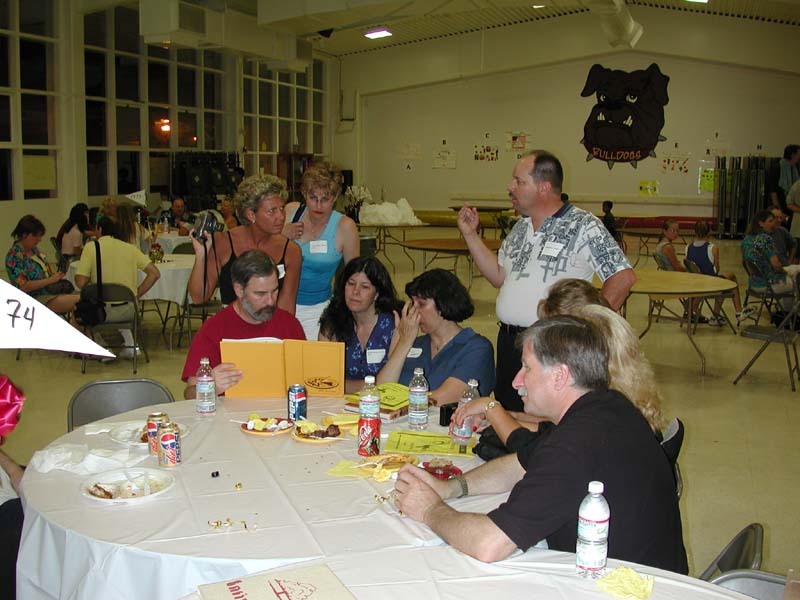 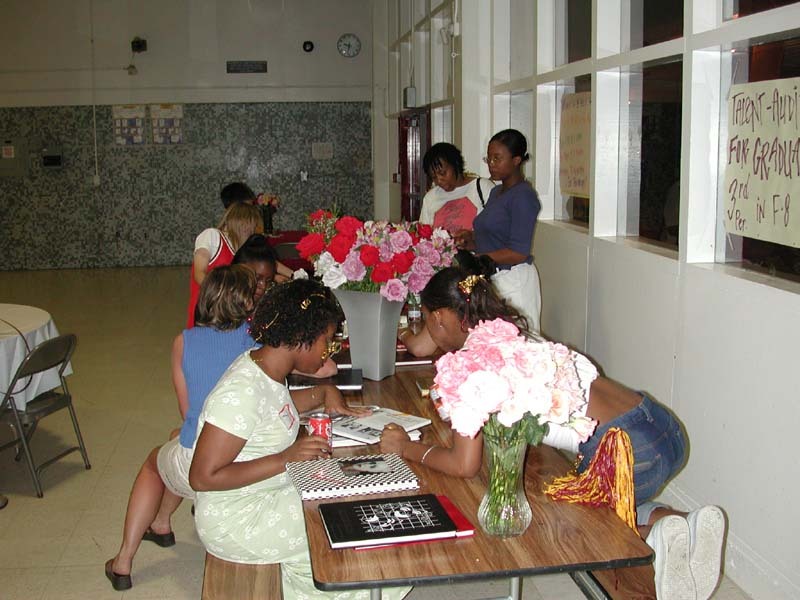 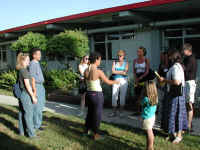 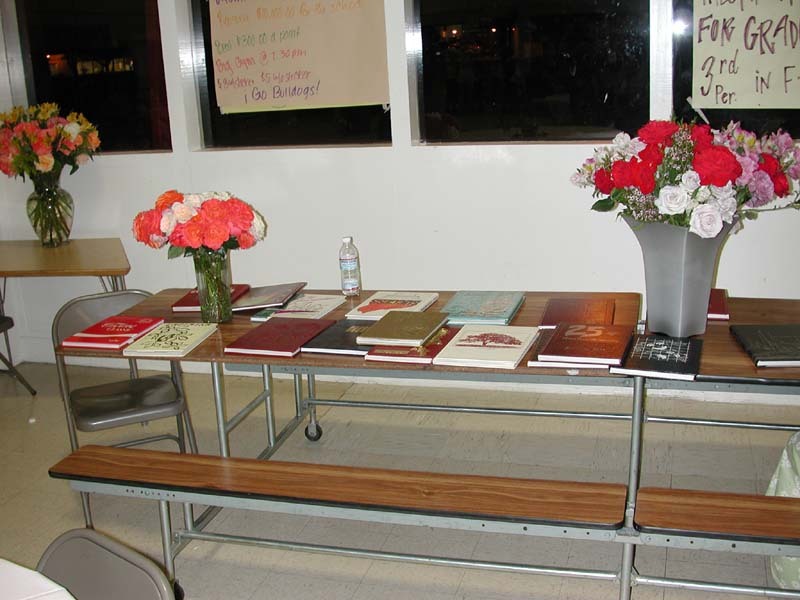 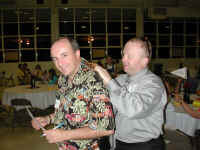 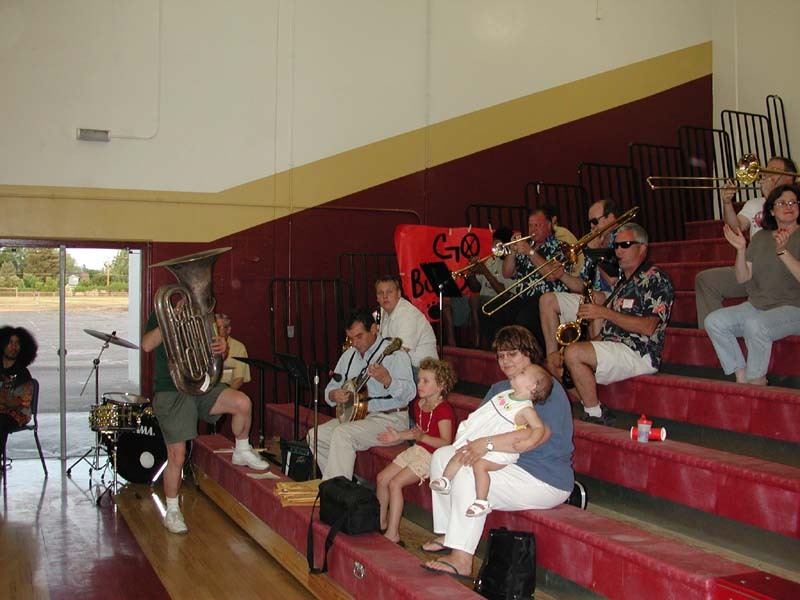 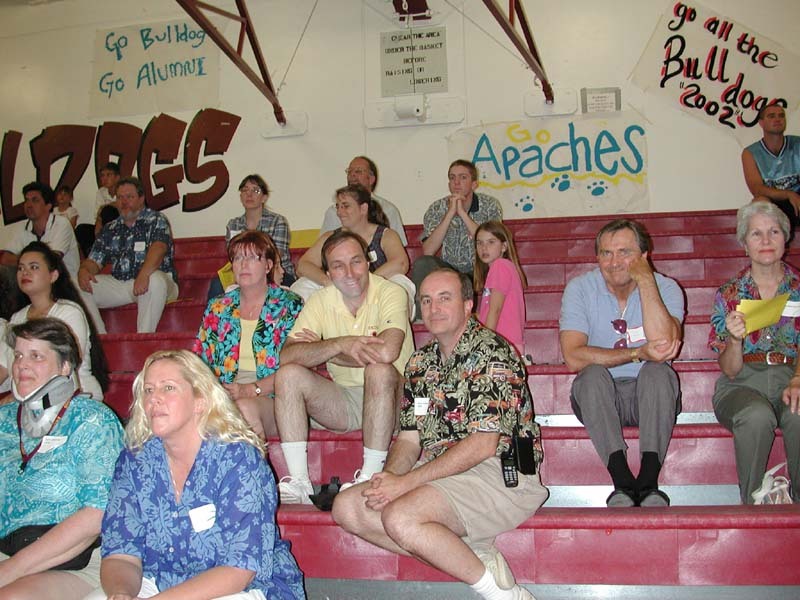 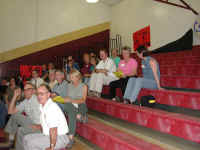 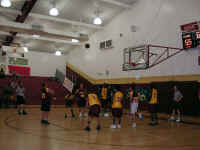 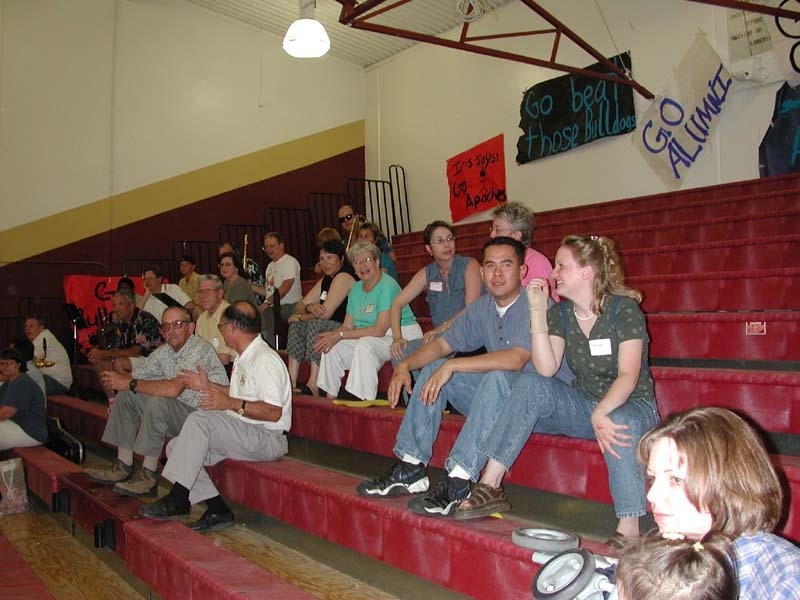 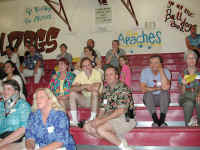 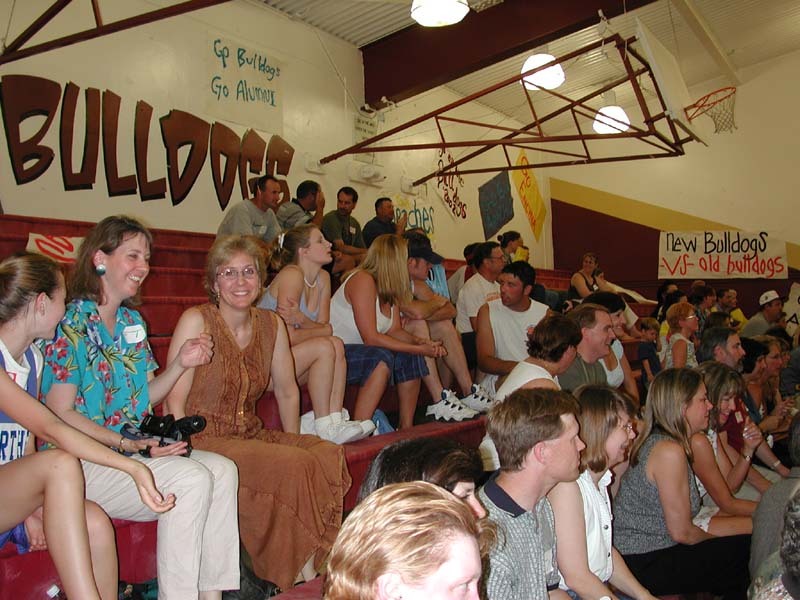 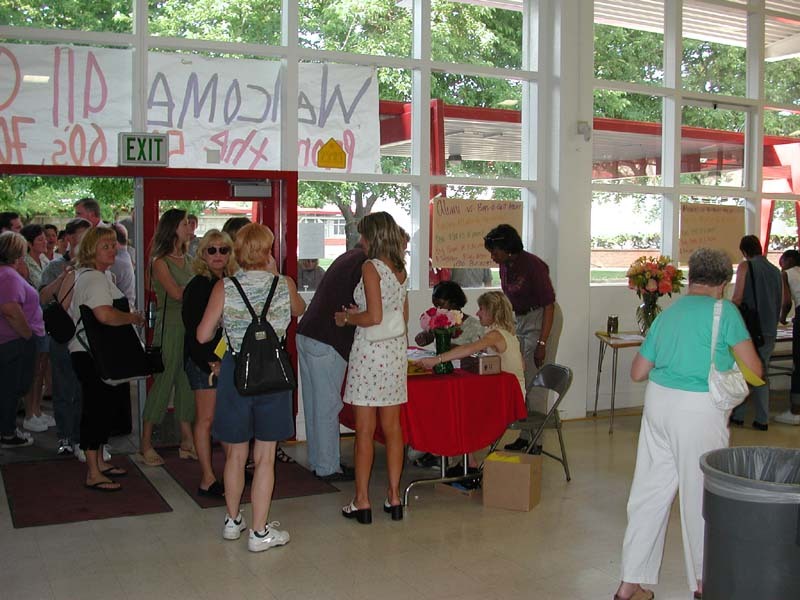 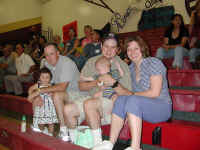 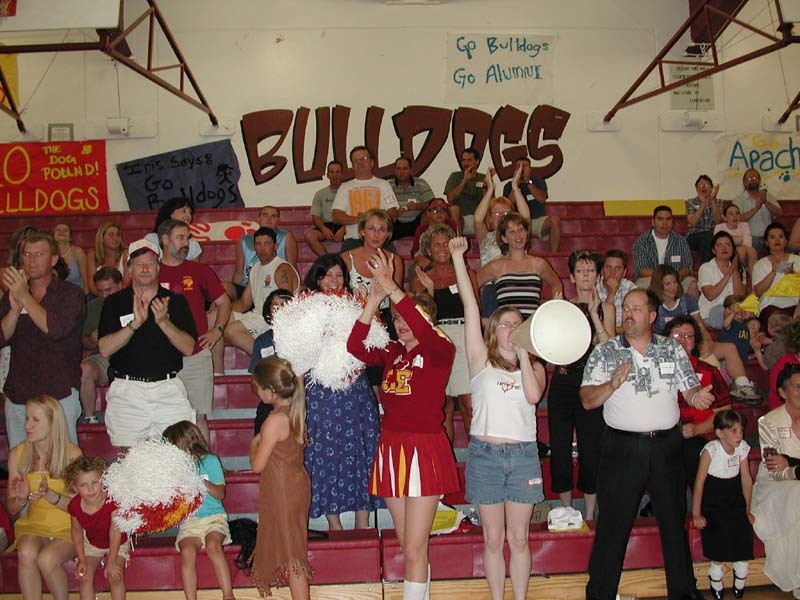 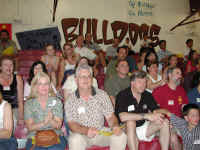 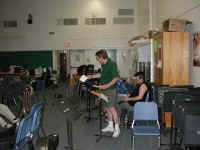 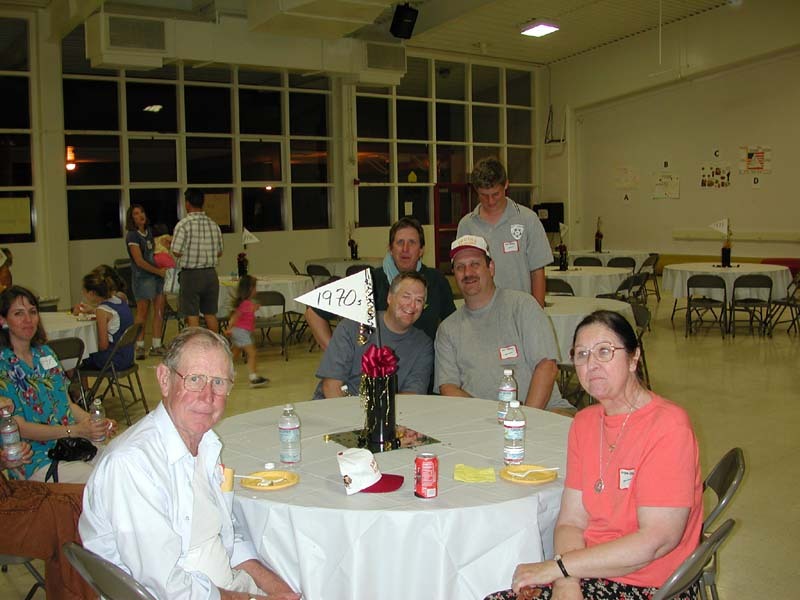 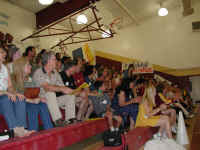 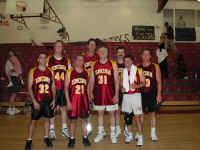 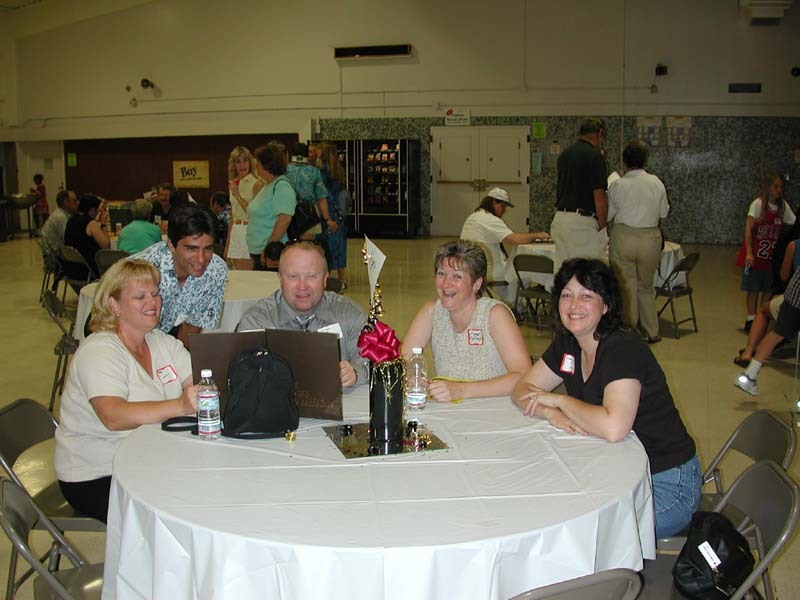 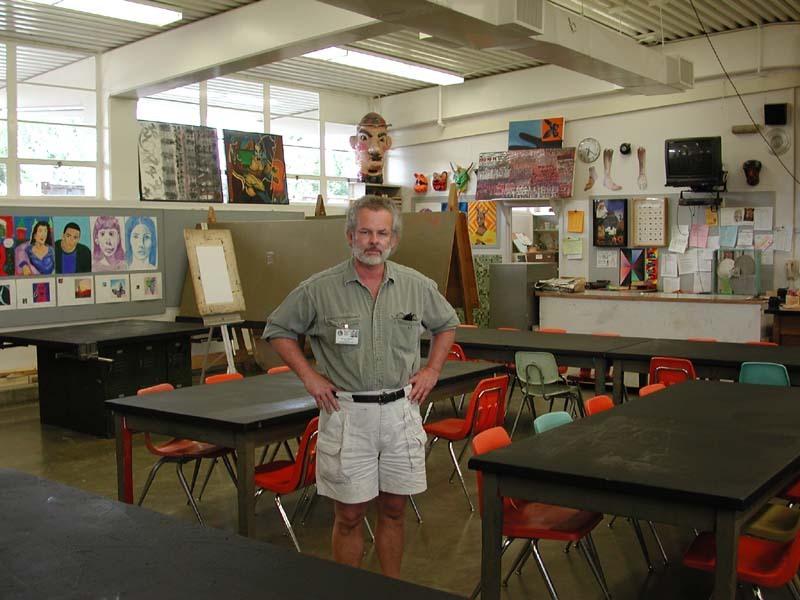 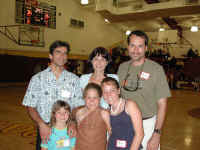 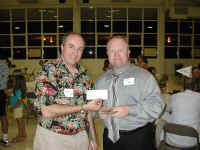 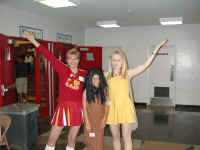 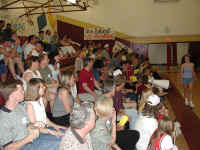 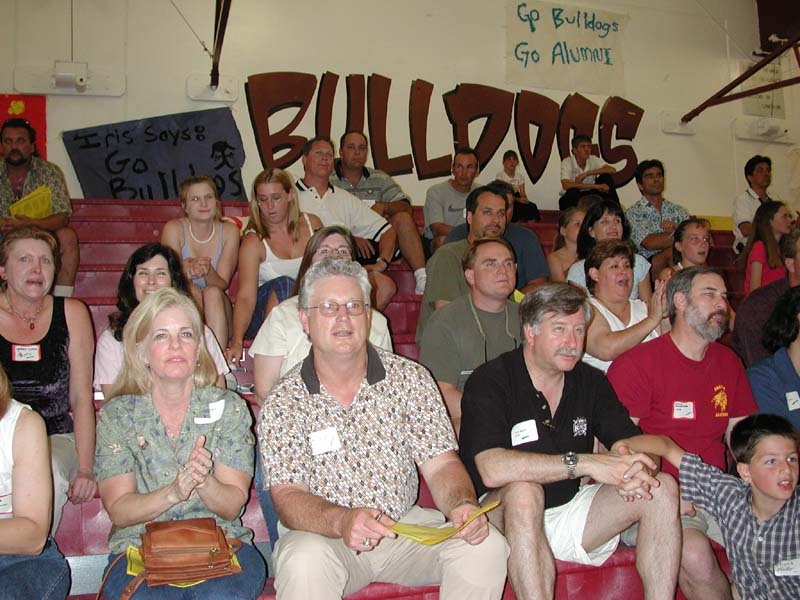 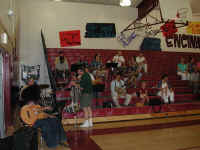 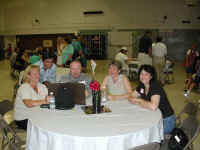 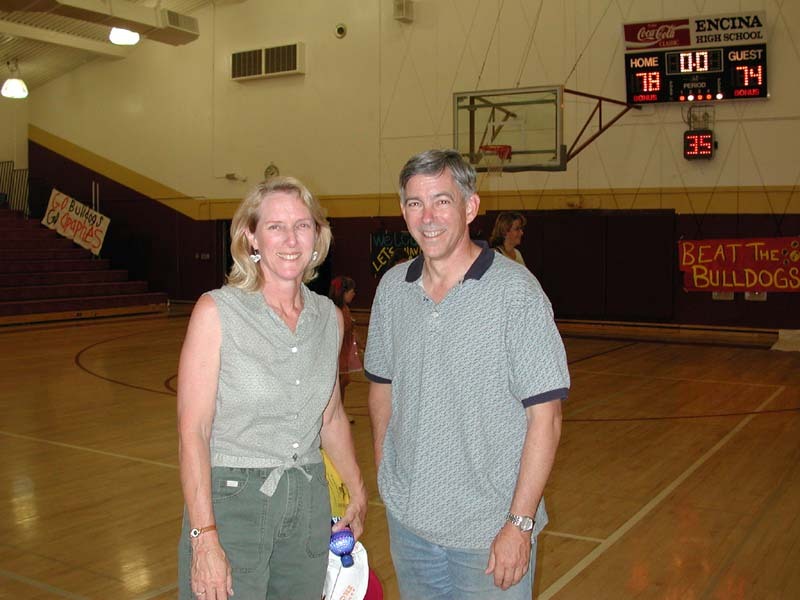 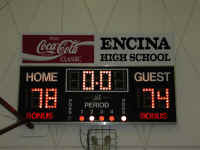 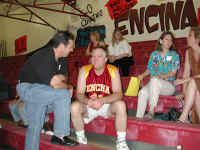 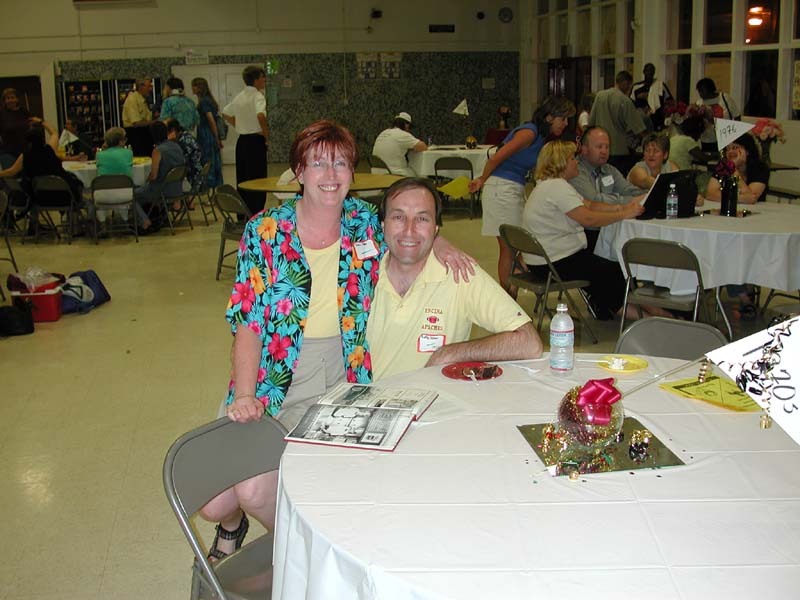 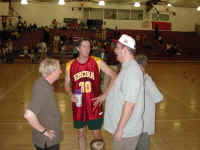 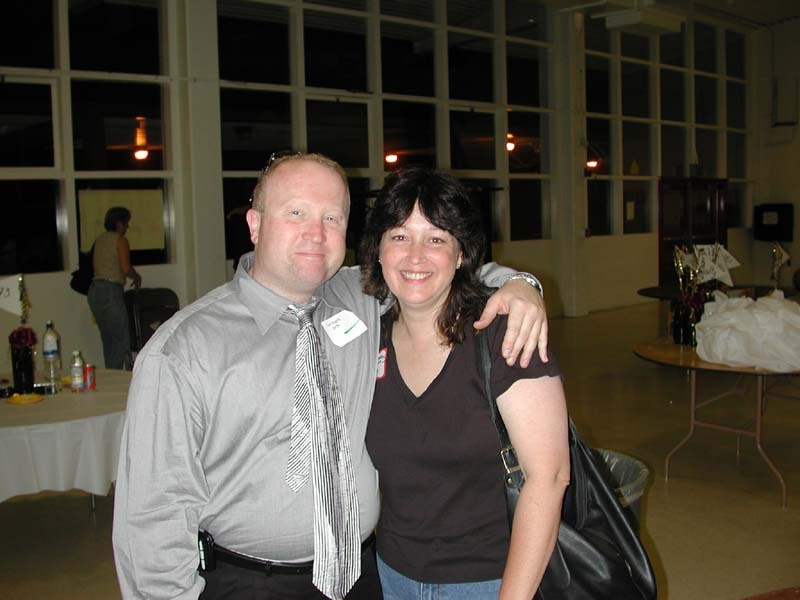 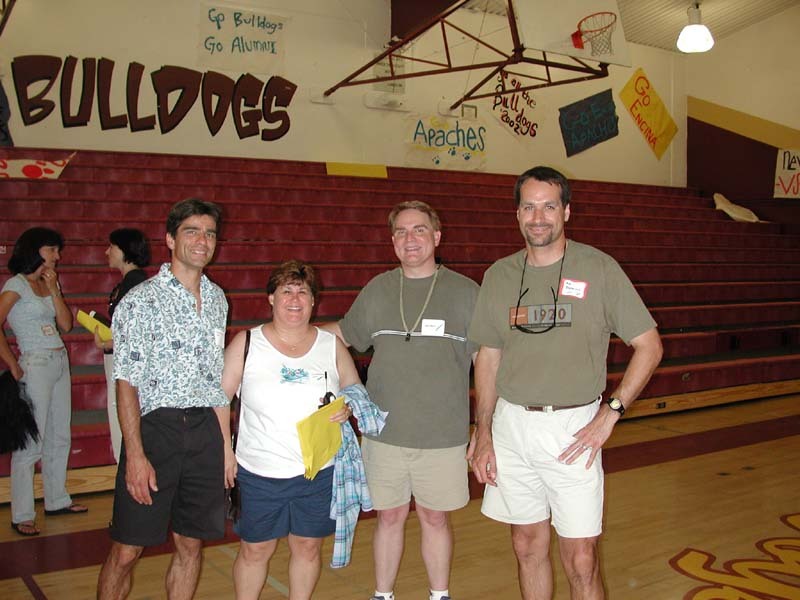 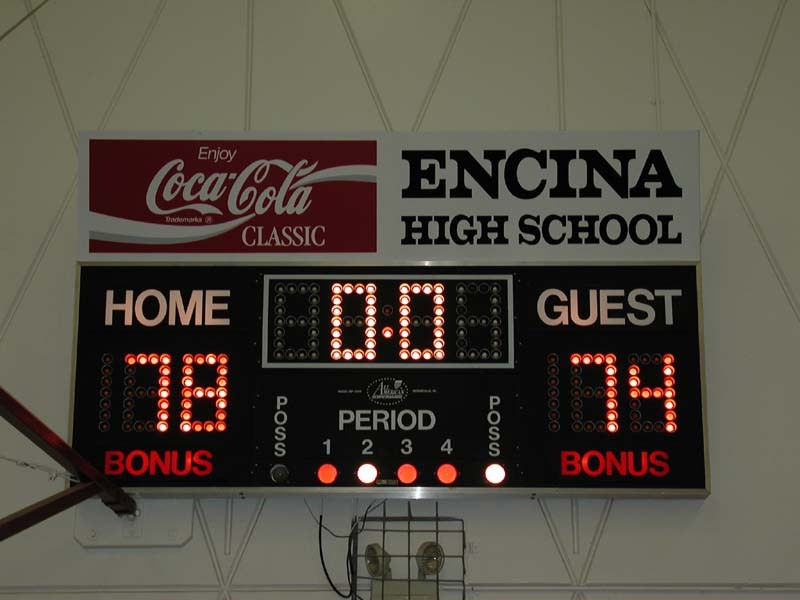 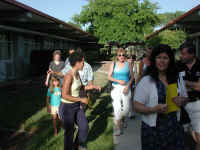 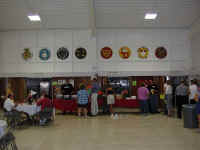 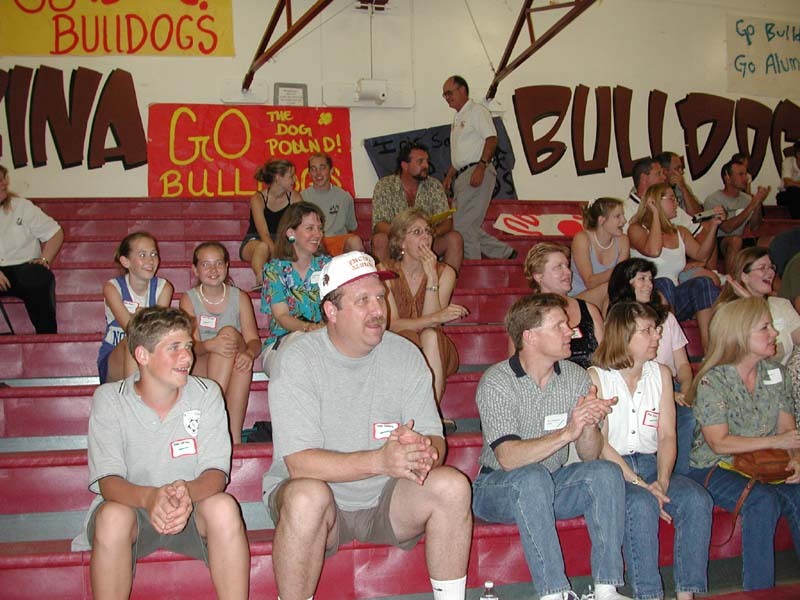 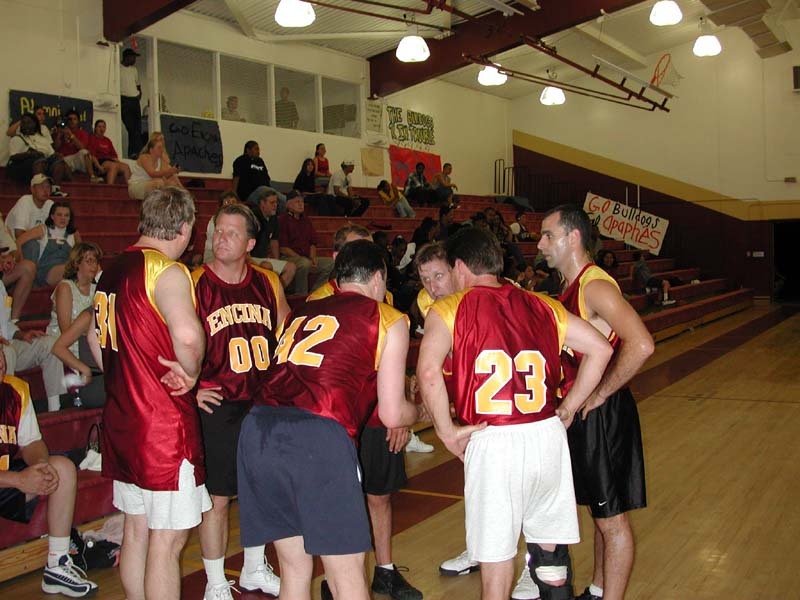 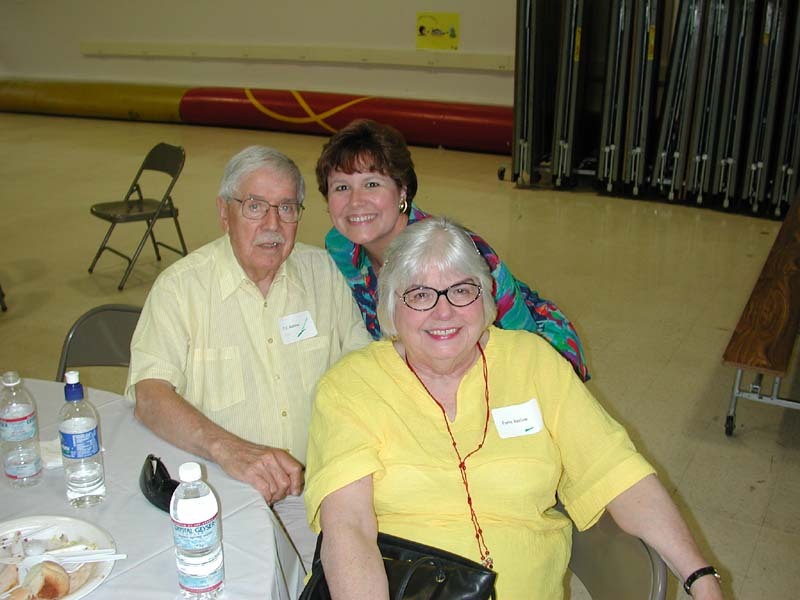 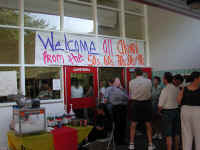 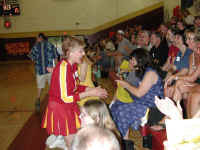 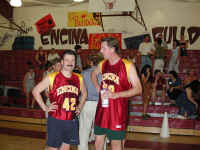 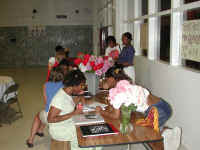 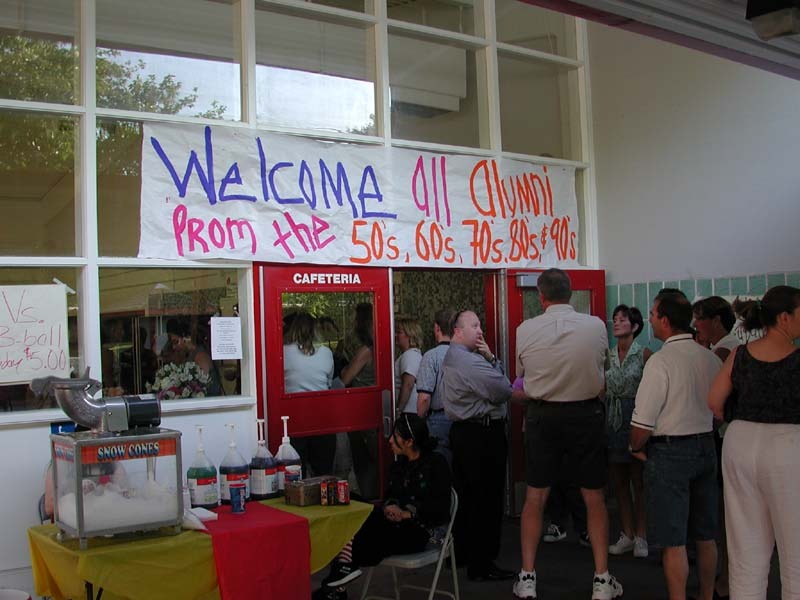 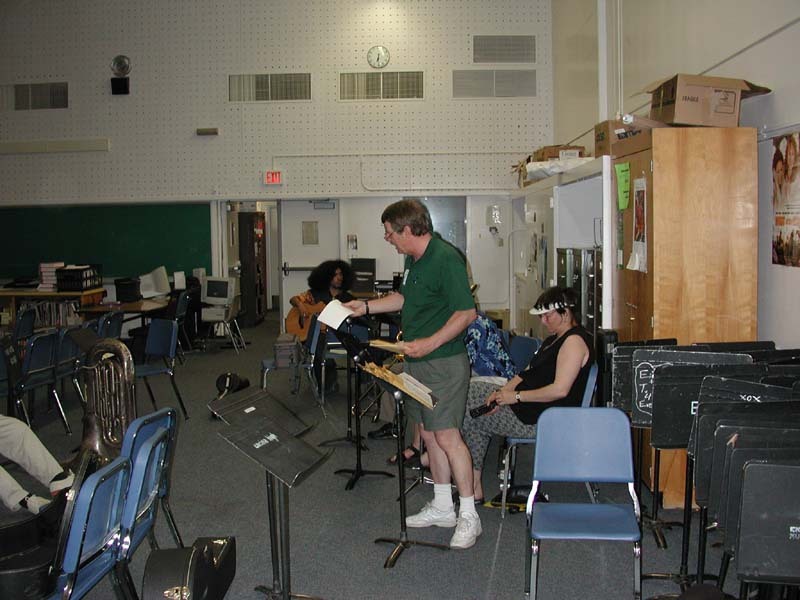 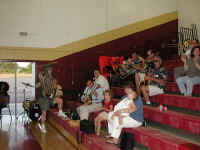 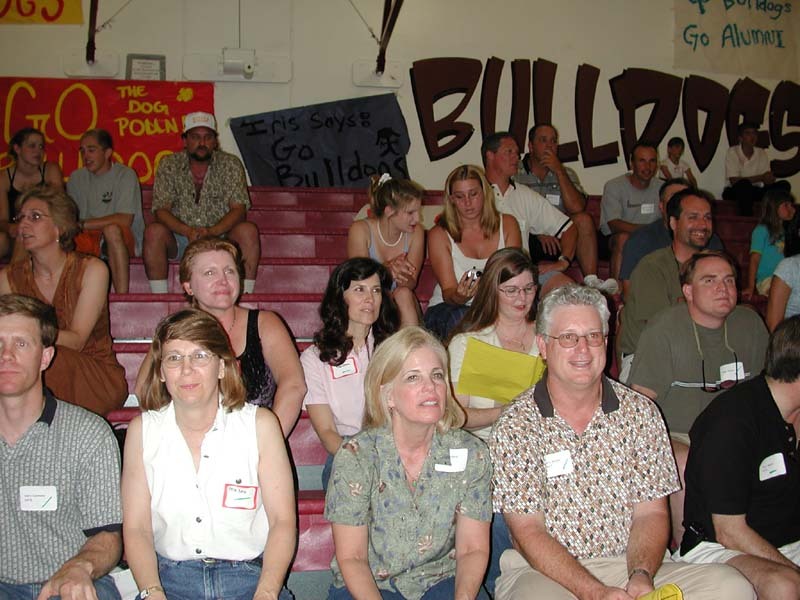 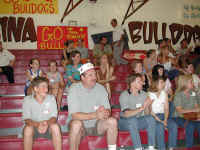 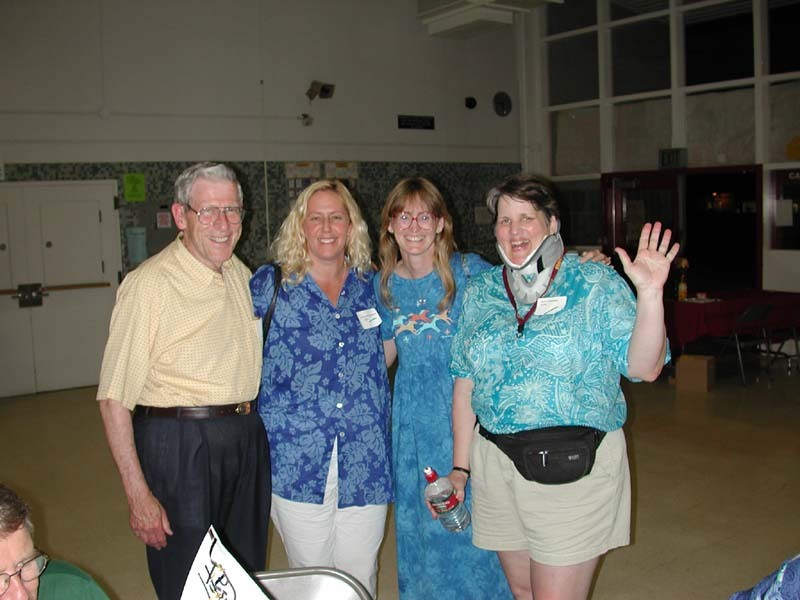 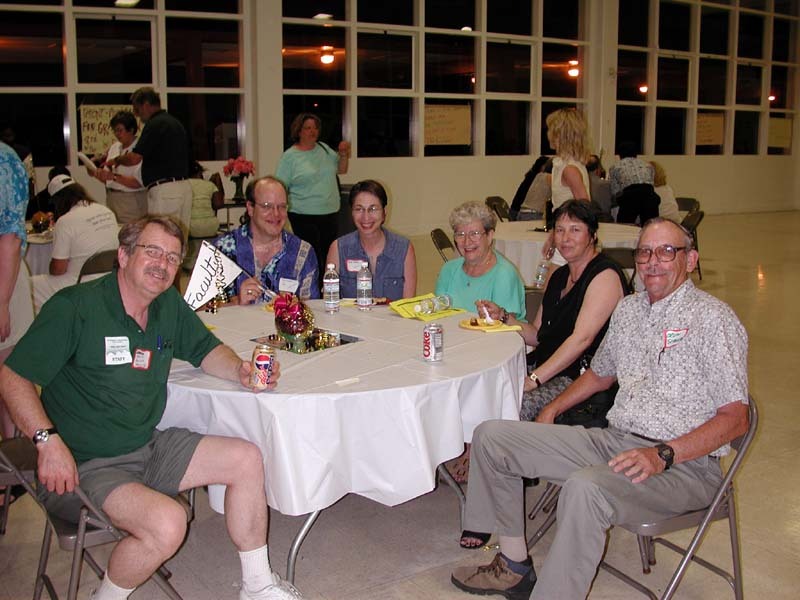 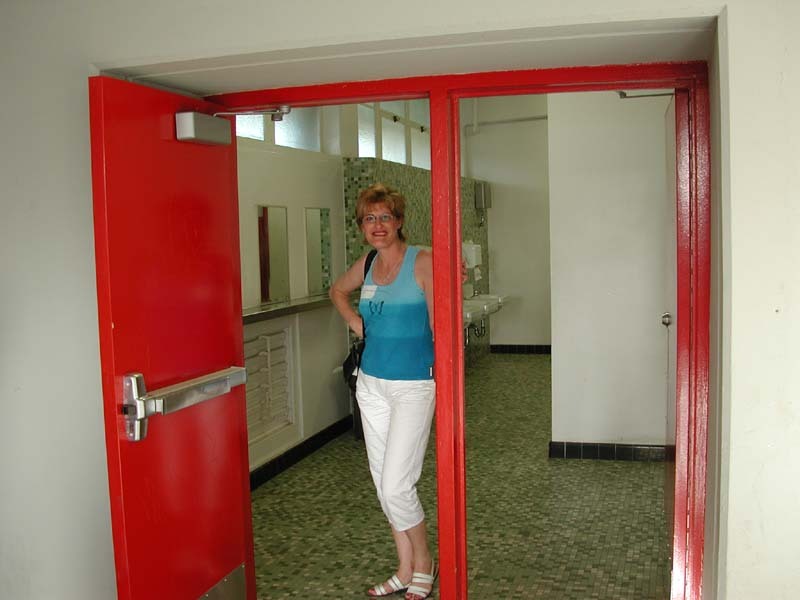 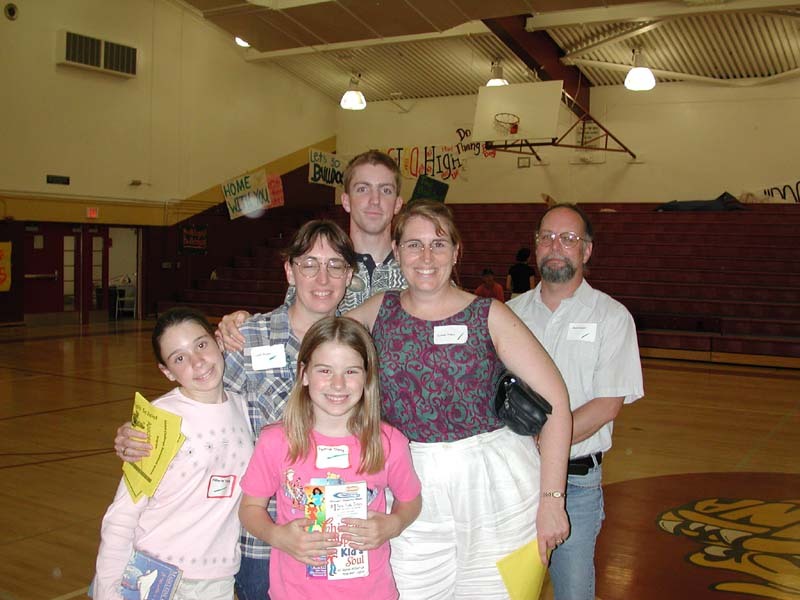 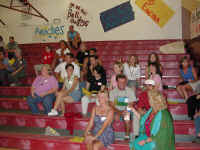 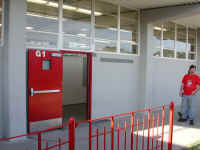 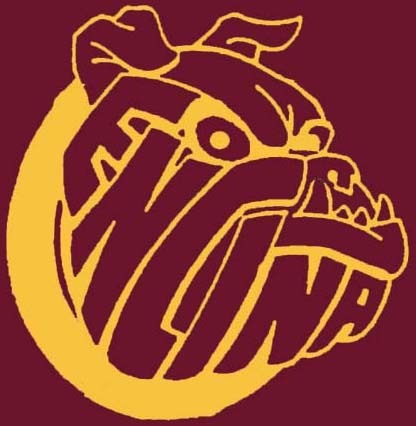 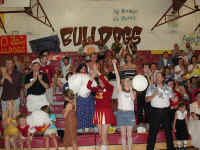 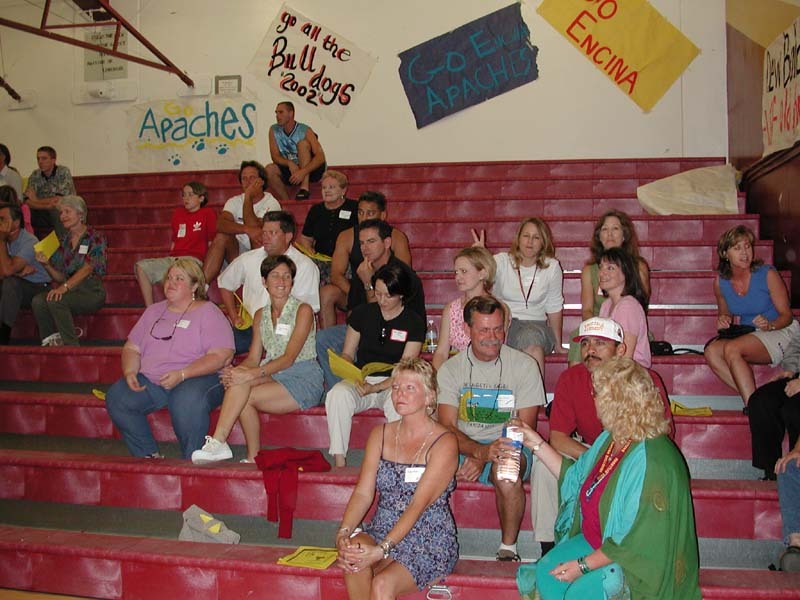 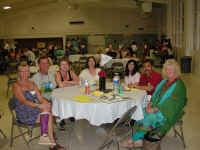 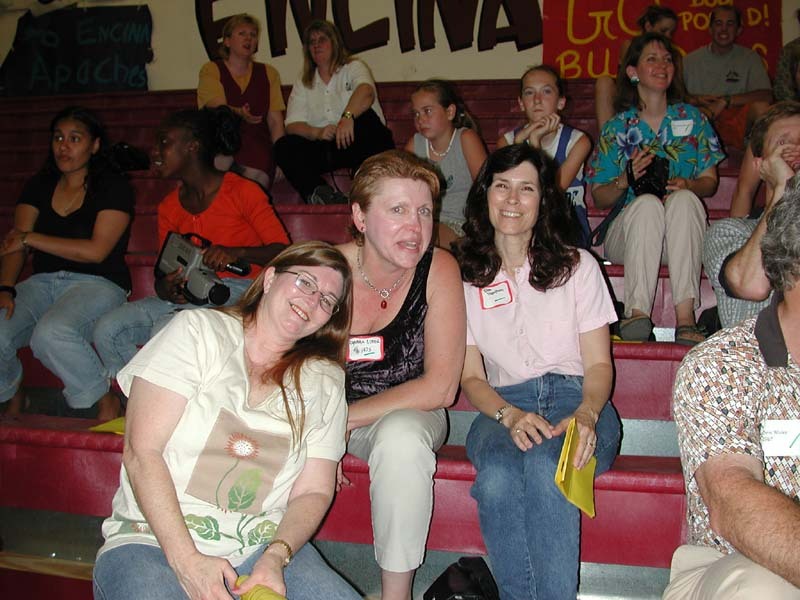 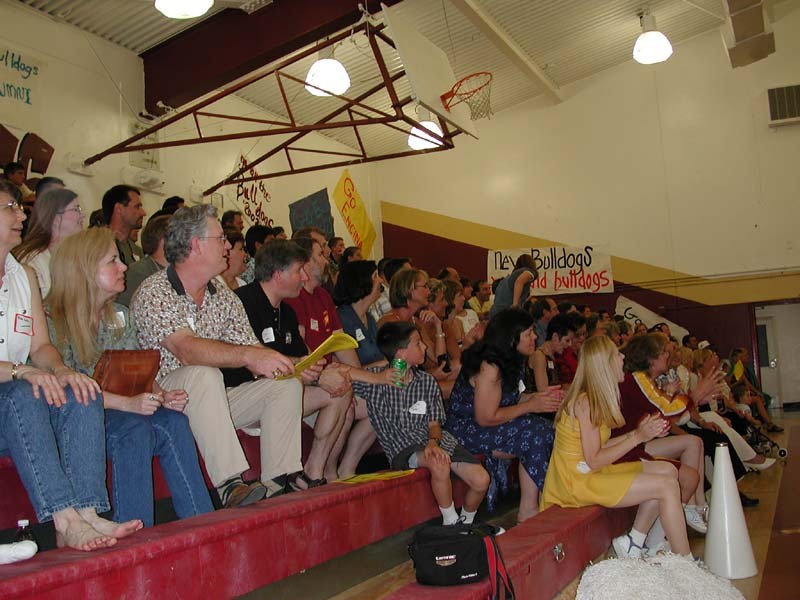 Here are some pictures that Harlan Lau 73 took at the Alumni Challenge at Encina HS on Friday, May 11, 2001. 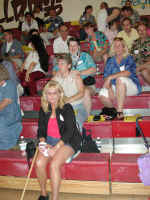 Terri Jurich 74 revs up the alumni The stands are packed! Ron Bettencourt 77, Kim Bettencourt Bjorklund 81, Bob Bjorklund 80 and children ?, Chuck Armstrong 77, ? 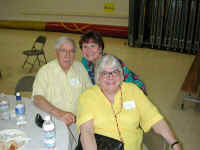 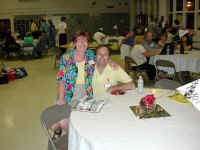 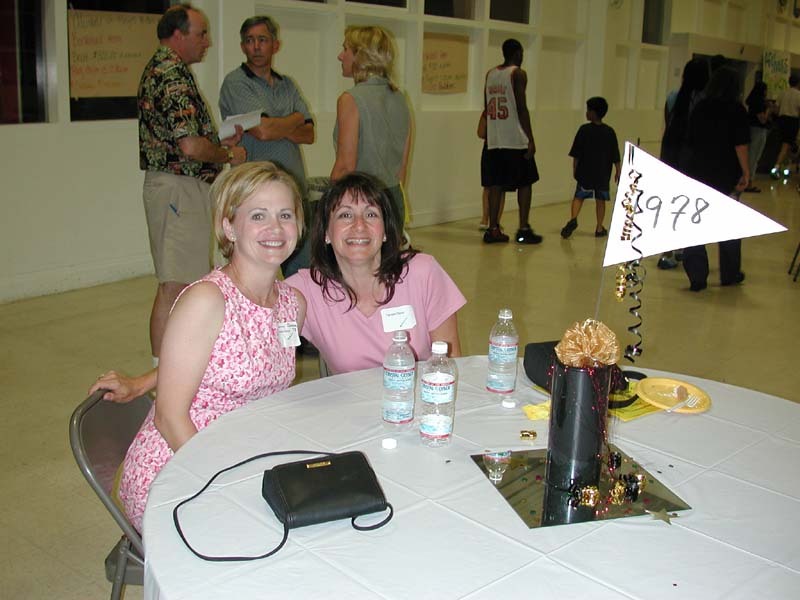 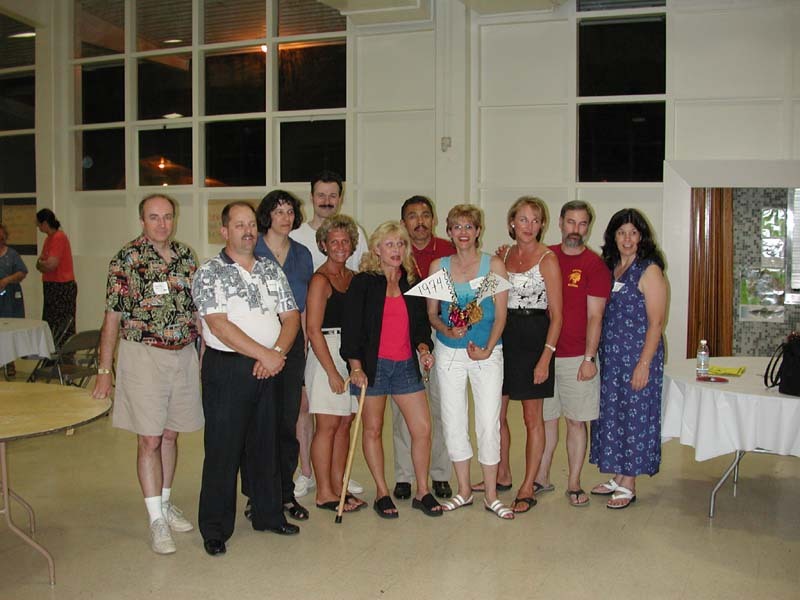 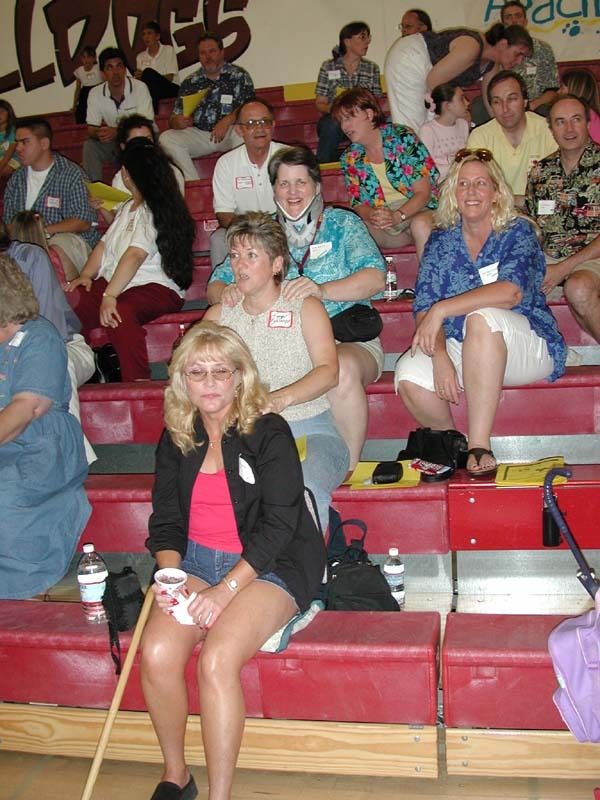 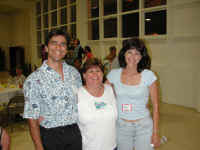 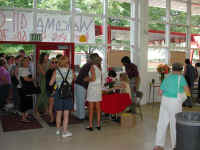 Third row: ?, Kerry Sheearer 72, ?, ?